Xiaomi has launched an affordable Mi Home security camera in India. It joins the Mi Home Security Camera 360° (review) that was launched in November last year. The new Mi Home Security Camera Basic offers 1080p resolution and Infrared night vision with a range up to 10 meters. The camera also packs artificial intelligence-backed motion detection, talkback feature, and microSD card (up to 64GB) + NAS storage support. 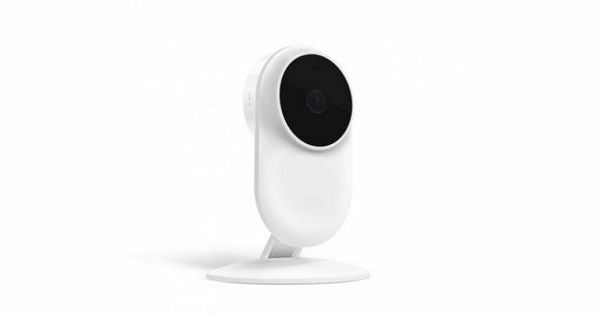 Xiaomi has priced the Mi Home Security Camera basic at Rs 1,999; its elder sibling – the Mi Home Security Camera 360-degree – currently sells for Rs 2,699. The Mi Home Security Camera Basic will go for sale in India starting tomorrow, February 14th via the company’s official online store – Mi.com – 12 noon onwards. Coming to the specifications, the new CCTV camera ships with an ultra-wide 130-degree angle lens that’s capable of recording full-HD videos with up to 20 frames per second. It can allegedly cover almost all areas of the room and “effectively reduces the blind spots.” The Mi Home Security Basic also comes with 10 large infrared dimming lamps that according to Xiaomi, offer a night vision range of up to 10 meters. Its AI motion detection is said to use its smart algorithms to reduce false alarms from the movements of curtains, insects, and other light changes. Notably, the feature will be disabled by default but can be activated from the camera’s app. The app has been updated with picture-in-picture mode for multi-tasking on mobile phones. The talkback feature on the Mi Home Security Basic improves users overall voice calling experience. Xiaomi claims that the feature “upgrades the voice call experience with a full duplex voice call design.” Lastly, the camera offers Wi-Fi 802.11 b/g/n 2.4GHz connectivity.